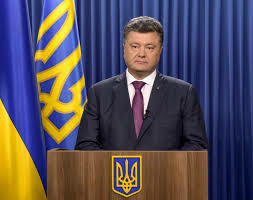 Ukrainian President Petro Poroshenko’s income in 2017 has totaled UAH 16,303,874, of which 18% were returned to the state in the form of personal income tax levied on the wages and the deposits, and 1.5% in military tax. “The total amount of income received by Petro Poroshenko in 2017 is UAH 16,303,874, of them UAH 336,000 is salary, which the head of state annually remits to charity, and a total of UAH 15,795,874 in interest on deposits. These and other data can be found in the electronic declaration of Petro Poroshenko for 2017, which will appear in the public domain today,” according to the press release posted on the president’s website on Friday. The amount of funds on Poroshenko’s bank accounts have decreased over a year by $430,000. According to the law, the president declared the expenses for the previous year – including the funds that were spent on vacation. This money was officially transferred in non-cash form from previously declared own accounts in compliance with the banking and tax legislation of Ukraine. The report says that the amount of declared vacation expenses is half the figure that appeared in the media. “Not a penny was spent from the state budget,” the press service assured. Last year, Poroshenko did not receive dividends from enterprises, whose ultimate beneficiary he is.